Ben Affleck’s film Argo, the story of an intrepid Hollywood film crew that rescues diplomats from bloodthirsty Iranian hordes, was awarded “Best Picture” at the Academy Awards ceremony in February of this year. The following month, Marjane Satrapi’s graphic novel Persepolis, an autobiographical account of the coming-of-age of a young Iranian woman, was banned from middle schools in Chicago. The same week, President Barack Obama emphasized that “all options are on the table” in order to counter the possibility of a nuclear-armed Iran if it cannot be contained. This synchrony of events might prompt a moment of reflection on cultural communication and its effect on military initiatives. Is it possible that the suppression of material that humanizes the inhabitants of nations that the United States government views as irrational and impervious to negotiation, along with the distribution of portrayals of fanaticism and frightening pursuit, are conducive or even necessary to threats of war? If it is true that cultural representations serve this purpose, than a reverse strategy of emphasis on shared values and common experience might be a necessary precondition to popular movements against war and towards reconciliation. Food might be the most intimate cultural product; it is simultaneously a necessity for life and health and a locus of luxury and enjoyment. In “Toward a Psychosociology of Contemporary Food Consumption,” Roland Barthes writes of food as “nutrition as well as protocol”; profoundly acculturated at the same time that it is instinctive and primal. For this reason, he reads food as “an organic system, organically integrated into its specific type of civilization.” In Barthes’ analyses of a structured syntax governing the palette of French cuisine or American taste, he focuses on the internal functioning of the food-system. While differences in the function of sugar, for example, illuminate the particular values of a distinct national menu, the experience of familiarity and comprehensibility is assumed by his study. The possibility of translation, or tasting with a foreign tongue, is not considered. In this sense, Barthes is somewhat typical of cultural meditations on the role of food. 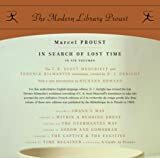 Certainly the most famous literary evocation of the gustatory is Marcel Proust’s madeleine in In Search of Lost Time, where the pleasure of taste is profoundly linked to memory and to the past. We tend to associate food with home. At the same time, what is obvious about eating is the necessity of mastication, the destruction of something outside of the eater and the incorporation of it. The philosopher G.W.F. Hegel emphasizes the unknown aspect of food; we devour things we do not fully understand. He mocks an overemphasis on rational reflection as analogous to a ludicrous claim that eating requires a “knowledge of the chemical, botanical, and zoological characters of our food; and that we must delay digestion till we had finished the study of anatomy and physiology.” For this reason, Katrin Pahl says that, for Hegel, “eating is a way of thinking”; chewing comprehends an object by negating it, advancing an actual, rather than purely intellectual, means of knowing. For this reason, in opposition or supplement to the model suggested by Barthes and Proust, it seems that eating is also an encounter with the new and the unknown, even the alien. The popularity of television shows such as Anthony Bourdain’s No Reservations confirms this; the ingestion of the foreign seems the fullest means of experiencing it. With this in mind, we might wonder whether eating what Iranians eat might be the best means of knowing what they know, and hence opening the possibility of a dialogue foreclosed by belligerent political rhetoric and Orientalist cultural inheritance. It seems to me that this is the guiding and originating intuition that animates Conflict Kitchen, a take-out restaurant and aesthetico-political initiative that was founded by two artists, Jon Rubin and Dawn Weleski. Rubin and Weleski have each distinguished themselves by producing public art that intervenes unexpectedly into everyday life. While Conflict Kitchen has presented Afghan, Venezuelan and Cuban fare over the past three years, the project began with Iranian food and has returned to it this summer. The restaurant’s blog states that “[e]ach iteration of the project is augmented by events, performances, and discussions that seek to expand the engagement the public has with the culture, politics, and issues at stake within the focus country.” To this end, orders from Conflict Kitchen are packaged with a pamphlet marked with statements taken from interviews with Iranians and Iranian-Americans, sharing personal perspectives on a variety of subjects, both controversial and everyday. Since April 1, Conflict Kitchen has been open in Schenley Plaza, just across from the University of Pittsburgh. Labeled “Iranian Takeout” in both English and Persian, its windows and roof are marked with a striking gold and blue geometrical pattern. Nestled among other less unusual takeout options, a sign near the intersection announces its presence. I’ve been to Conflict Kitchen a few times now, partly because the initiative is intriguing, but mostly because Iranian food, as it turns out, is delicious. I had never had it before, and while it’s similar to the Levantine food to which I’m very accustomed, it is indeed a rare and savory new dining option I find myself craving. I especially like the kubideh sandwich, comprised of ground beef kebab, mast-o khiar, fresh herbs, sumac, and onion on barbari bread. The weather’s just gotten warm, so the sharbat, a sweetened liquid prepared from flower petals, is especially refreshing. The question I find myself asking, though, lies between Proust’s emphasis on familiarity and memory and Hegel’s insistence on the element of the pre-intellectual: What have I really learned about Iran by devouring one product of its culture? If Barthes is correct about the social and psychological production of meaning within a particular subset of food knowledge, the decontextualizing of a kubideh sandwich and its appearance in downtown Pittsburgh creates a drastically new experience entirely exterior to Iran and its people. The mainstream popularity of Chinese and Mexican food, for example, has not translated into widespread cultural understanding of those nations, on the political level, in the United States. I spoke about this with Dawn Weleski, who agreed that a greater appreciation of the savory delights of Iranian cuisine might not translate into superior cultural understanding. The kitchen has become a victim of its own deliciousness; she reports that they’ve been five times busier than expected, and this has threatened to render the experience transactional rather than communicative. This appeared to be the case at my last visit, when a crowd of Pittsburghers hungry for this exotic fare was too large and too eager to allow a serious discussion with the servers to take place. Alongside the take-out restaurant, however, the project has sponsored Pittsburgh’s first-ever Persian cultural festival and an “intercontinental dinner party” over Skype with a gallery in Tehran. They have also worked in collaboration with Pittsburgh’s small Iranian immigrant community as well as the Persian Panthers student group at the University of Pittsburgh. In its earlier incarnation a year ago, the restaurant used the billboard space in order to post messages such as “‘In the U.S. and Iran, drumming up xenophobia is a sure fire way to solicit domestic support.’ – Local Iranian American.” Weleski told me it was their goal to “start a conversation that continues in people’s homes.” The effects of such a conversation remain quite elusive, however. It seems to me that we might consider the gastropolitical to be at the same time too visceral and too distant – lacking in mediation and dialogue because of the satisfying consummation inherent to eating, and too subtracted from history to communicate. The pamphlet included with meals from Conflict Kitchen contains a variety of short anecdotes and facts regarding Iranian culture, taken from the six months of research that preceded the project. These include the Persian roots and heritage of modern Iran, lines of Iranian poetry and brief thoughts on US perceptions, Israel, women’s rights, film, fashion, holidays and the recent Green Movement for greater democracy. The project will continue until the Iranian presidential election on June 14. This is a possible moment of change because the polarizing current president, Mahmoud Ahmadinejad, will be required to step down. Andrew Ryder is Postdoctoral Associate of French and Italian at the University of Pittsburgh. He is presently writing a book manuscript entitled Irreducible Excess: Politics, Sexuality and Materialism.